Xiris had the great opportunity to join TPS WeldTech at UK’s largest showcase event specializing in photonics and light technologies. Photonex was a large success, featuring an abundance of different light applications. TPS WeldTech, distributor of Xiris’ XVC weld camera product line in the UK exhibited to promote the weld cameras. Xiris’ high dynamic range sensors used in the weld cameras provide a superior view of open arc welds making these cameras a unique product to exhibit at Photonex. The high dynamic range of the camera and high quality sensor was a rare and exciting promotion at this international exhibition. The Processing & Packaging Machinery Association (PPMA) is one of the sponsors of Photonex and assists in partnering the photonics and light technologies industries with much larger industrial application groups. Xiris was asked to provide a presentation during the PPMA seminar session. 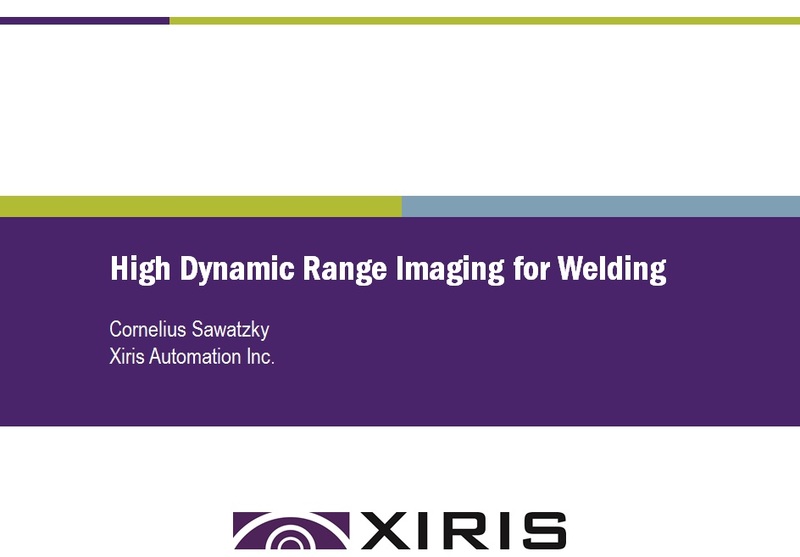 Xiris’ Sales Manager, Cornelius Sawatzky provided a technical paper discussing the logarithmic sensor application used in weld cameras. Accompanied with video examples of various MIG/MAG, TIG and Laser welding operations the presentation provides excellent video demonstrations of the benefits of welding cameras in all environments, processes, and materials. These videos can also be found in the Xiris Resource Library on our website. Simply choose your welding process, materials used, power supply, and joint type and the Xiris Library will provide a crystal clear video example. Xiris specializes in developing optical equipment used for process and quality control across a number of specialty industries. Xiris provides some of the world’s most dynamic manufacturers with the ability to detect, recognize and interpret quality defects in their manufactured goods.